Today is the final post in the Homemaking On A Dime series! It has been really fun talking all things homemaking, sharing tips for how to do it on a budget, and reading all of your ideas! Thanks for sticking with me through it, and I hope it was helpful and entertaining for you as well. 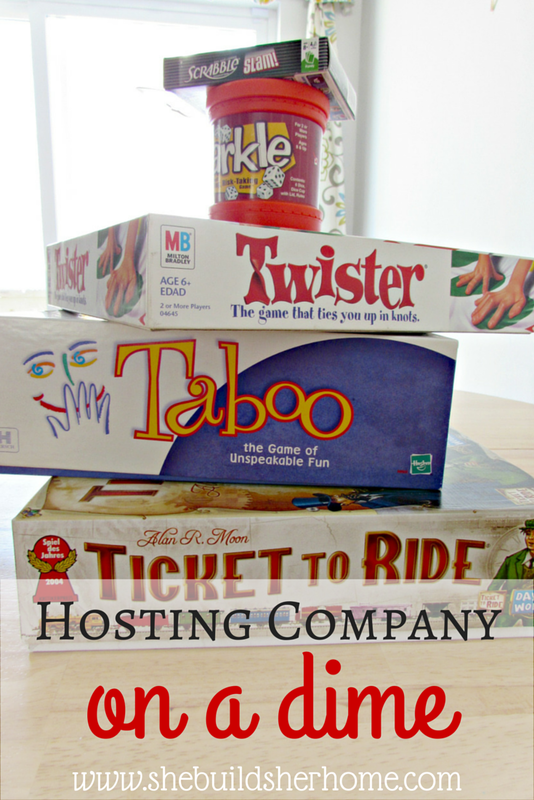 This week we are talking about ways to host company while on a budget. Opening our homes is so important and can be so much fun, but if you are tight on funds, you may not be as willing to do it very regularly. So let's get right to it, and talk about some ways to minimize the cost of having people over. 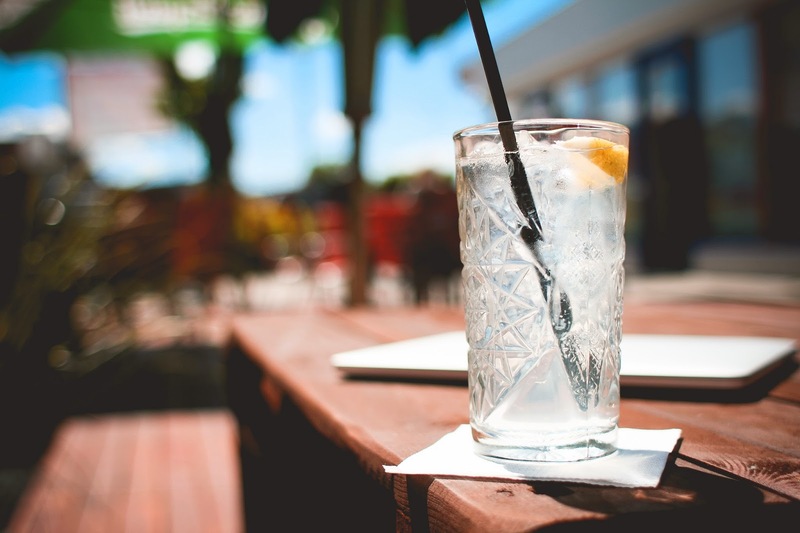 Go easy on beverages If you are having a meal, or even if you're not, calm down with the drinks already! I think a lot of people feel like they need to have 16 different drink options at each meal, but I think we can honestly say that most people will be fine with water or maybe one other option. There are really inexpensive drink mixes, or a good way to mix it up would be to do some infused water with things you already have like berries, or lemon and lime. Themed dinners Instead of creating a big, fancy feast, try coming up with a themed dinner. Taco night, baked potato bar, soup supper, or something similar. A lot of these kinds of themes will also allow you to focus on one main thing and just provide several toppings. Like have a bunch of baked potatoes (so cheap), and provide cheese, sour cream, broccoli, bacon, etc. and have people create their own. This also works well with doing personal pizzas, or shish kabobs! People love picking out their own stuff, so it's entertainment AND dinner. What more could you want?! Game night Skip the dinner and go straight for the games. If you can't afford to feed several extra people, don't feel like you have to have them over for a meal! Ask some friends over for a game night and have everyone bring a game and snack to share. Or just serve dessert and drinks. 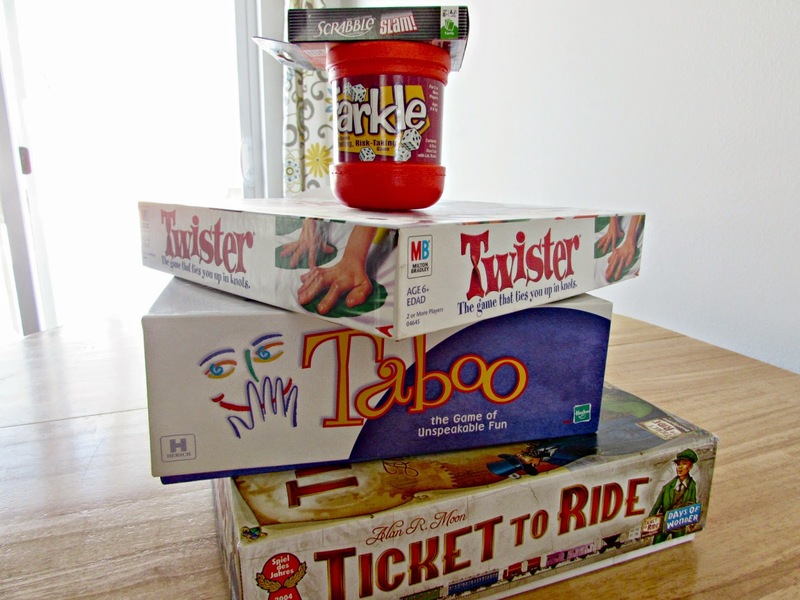 We love games and we often enjoy having people over for games after our kids have gone to bed. Have a fire Something about fires just draw people in. The fire pit we bought last year at Target has been one of our best entertaining investments thus far! We have had countless conversations, laughs, and marshmallows around that thing. 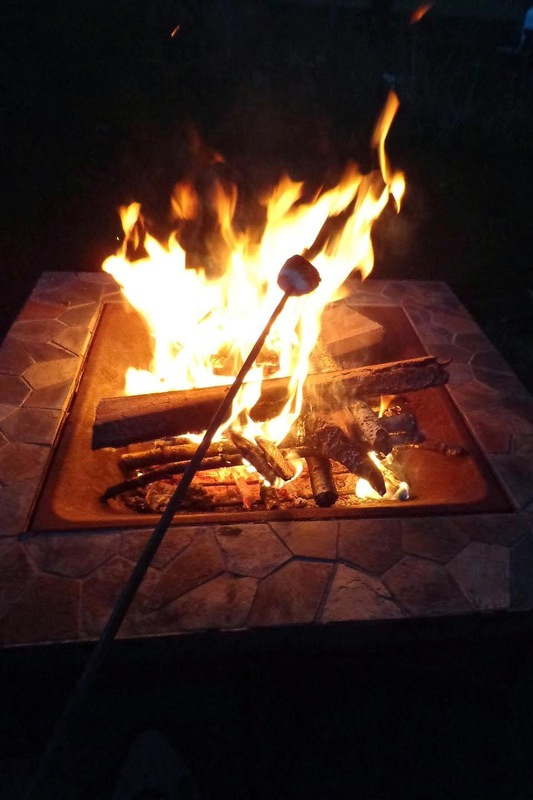 People love to just sit outside in nature, roasting some mallows and chatting long after the sun has gone down. Have a pot luck If you want to get together with a group of people, host a pot luck! This works out well for larger crowds so that everyone can bring something and everyone has plenty to eat! We do something similar every year for July 4th. You could provide the main dish and everyone could bring a side or dessert, or you could grill out and everyone could bring what they want. The options are endless with pot lucks! Skip the fancy feast Instead of having bacon wrapped filet mignon topped with expensive cheeses and mushrooms, dial it down a notch and have a casserole and a few sides, or a big pot of soup or stew. People will be just as happy with that (maybe happier), and it will save you some big bucks. Don't feel like you have to go all out just to have someone over (but if you like to, that's great too...it can definitely be fun). There are so many meals you can make really inexpensively to feed a large crowd! Any other ideas for hosting on a dime?! I hope you have enjoyed this series! I am looking forward to hearing how you have used some of these tips over the last 5 weeks!